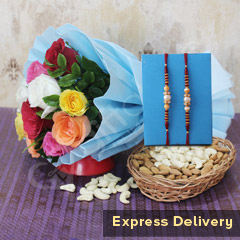 Sending a Rakhi with flowers on the beautiful day of Raksha Bandhan to surprise your brother who would have thought that he was going to miss this day because of his distance from you, is one traditional gift he will never forget. There is no one who ever dislikes flowers. 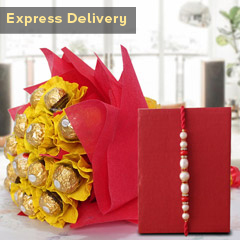 They are a symbol of love and affection, which Sendrakhi.com will deliver to his doorstep. 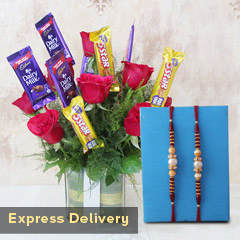 Our unique website is offering you endless possibilities to mix and match whichever Rakhi you desire with any kind of flowers you want. No matter what his age is with the many options listed on our website, you will not disappoint your Bhaiya and can shop just as per his choice. 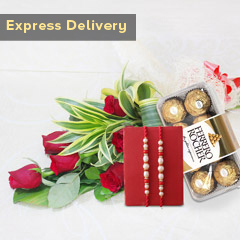 Therefore, sisters are just a click away from giving him the gift of a lifetime. 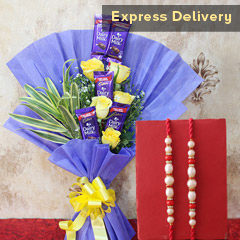 We get the flowers from the best nurseries so that receiving that gift will be a cherry on top of the Rakhi with cake. 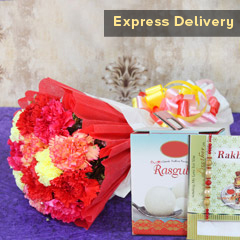 When it comes to delivering Rakhi with flowers, speedy delivery is the only option. You can keep your faith on us for sending fresh and fragrant flowers to any part of the world when you shop from our online store. 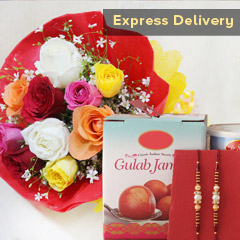 If you are lucky, you can opt for our same-day delivery or express delivery in the many locations we offer across India. 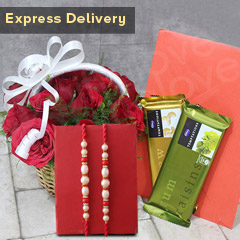 We have express delivery services for all over the world.